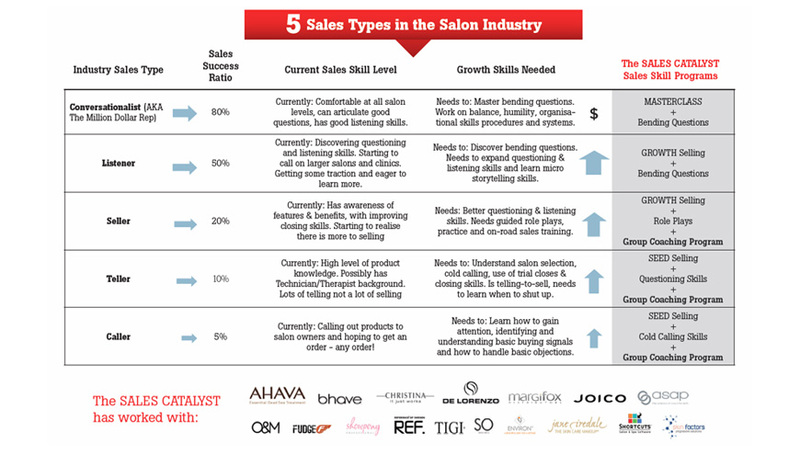 Which of the five sales types do you have in your salon sales team? And what type of training or coaching do they need to move their sales results from a 5% success ratio to 80%? 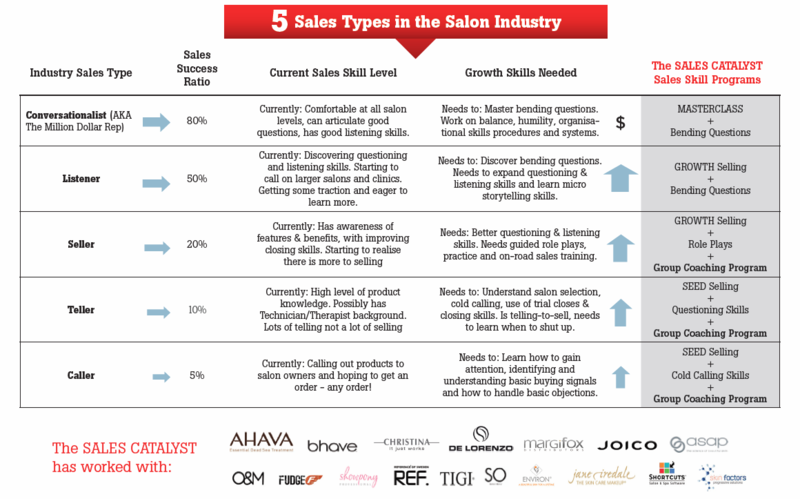 Want to know more about each sales type? Who’s curious, modest and yet amazing successful in sales?